Since the late 1980s, Awataha has continued to provide a space and environment which all people are welcomed to partake and experience in. Read about what is install for the site and click here to see other projects that we are involved in. 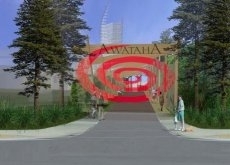 Awataha is now in its second stage of development. 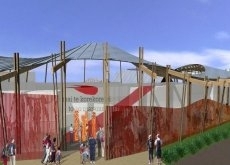 Along with .... architects, Awataha have designed a facility that will cater its tourism and education ventures whilst still being open to the community at large. Ken McBryde is a Director of innovarchi. Ken completed his architectual degree with honours at the University of Queensland in 1984. Following his studies he spent 3 ½ years in Renzo Piano Building Workshop in Paris, Genoa and Osaka working principally on Bercy 2 HyperMarket in Paris and Kansai International Airport. He returned to Australia in 1991 and was awarded several scholarships to complete a Masters of Architecture by Research at the University of Queensland. During that time he lectured in Design, and Materials Technology at the University of Queensland, QUT and more recently at Sydney University. He and Stephanie Smith established innovarchi in 1996 and their work has been recognised with several national and international awards and prizes for both built and unbuilt works. From mid 1997 till late 2001 innovarchi was the local representative architects for Renzo Piano Workshop in Australia, and Ken was one of the two Sydney based Project Architects on the Aurora Place project. A significant part of Kens role on the project involved presenting and negotiating issues with the central Sydney Planning Committee. This committee included the Lord Mayor and the NSW Government Architect. In 2002 Ken was invited to be the Interstate Juror for the Brisbane City Councils new Administration Centre and in 2004 the NSW Government architect selected innovarchi as one of 6 Australian teams to build a “house of the future” as part of the Year of the Built Environment. Current innovarchi projects include a Gold Coast New Urbanist Development an 80 storey apartment tower and timber canopy in Dubai, 8 luxury villas in China, a Boutique Hotel in NZ, Masterplans in NZ and Sydney, and several private houses in NZ and Australia. All the projects are the result of a collaborative effort between the innovarchi team, the clients and our consultants. Andrew has more than 20 years’ industry experience in the project management, facilitation, design management and construction of some of New Zealand’s most recognised and demanding projects. During Andrew’s career he has worked alongside some of the best professional teams from Australasia; through this exposure Andrew has developed key relationships, built on trust, technical knowledge and confidence, with the industry leaders. His hands on experience in construction, architecture, development, services management, greenfield development and speciality mixed use development, means that he can offer clients a total solution for their projects. Andrew career started with practical construction experience gaining his Advanced Trade Certificate qualification, Andrew moved into construction management as one of the team at Auckland’s Sky Tower and Casino project before moving into design management. 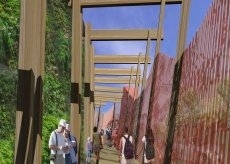 He was senior project manager for eight years with Warren and Mahoney Architects. Over recent years he has provided strategic planning and speciality advice to several mixed‐use developments including key advisor and technical roles with start up projects. Andrew is well recognised throughout the industry for his innovative yet pragmatic contribution to vast numbers of projects. Andrew’s key strengths include effective communication, relationship management, value engineering, lateral thinking, design management and quality assurance, and a leadership style that is assured, inclusive and decisive. Tony has worked within the construction industry for 22 years in contracting and consulting. During this period Tony has fulfilled a number of senior roles on a wide variety of projects which gives him a detailed understanding of the Construction Industry. Over recent years he has specialised in complex and high value projects. Tony has worked most recently as Engineer to the Contract and Project Director on the $113 million Auckland Art Gallery refurbishment. Tony has worked on Major construction projects in a number of countries effectively overcoming cultural, language and logistic issues in delivering successful projects for his clients. Through his role as Project Director, Tony provides strong leadership, communication, financial, programming and risk management skills to his projects. Due to his broad background and detailed understanding Tony is able to effectively bridge the gap between client, design and construction teams, and facilitate positive outcomes for all parties.